UPDATE FOR 2019: Next year will be our most exciting year yet for travel! We will be taking a bucket-list 22 day South America and Antarctica Cruise January 28 – February 21, 2019–with the option at the end to go to Iguazu Falls–rated the most beautiful waterfall on earth! We will be leading THREE Holy Land Tours AND a spectacular trip to Egypt in April and May: Holy Land 1: April 12-23, 2019. EGYPT: April 24 – May 3, 2019. Holy Land 2: May 3 – 14, 2019. Holy Land 3: May 15 – 24, 2019). We will also be taking a high-adventure cruise down the upper Amazon in Peru, exploring some of the most pristine jungles on the planet. We will then take our group to Cusco and Machu Picchu! The date for this will be in July or August, 2019. And, of course, to top it all off, we will be leading our ultimate Church History Tour, October 7 – 21, 2019. IF you want to put on the waiting list (no obligation, just “put me on the list”) for any of these tours, please CLICK HERE and send your email request. Why do we travel? We travel because we cannot help but want to rub shoulders with people who live on the other side of the planet. We travel because we want to learn. We travel because we don’t want to be provincial. We travel as pilgrims seeking our roots. We travel because we want to get away. Of course we travel to have fun and we travel because this planet that God created is just a fascinating, beautiful, stunning place. We want to give you the opportunity to travel with us to places we have been, places we love and to places we want to take you. Maurine and I travel not only because we are historians, but because we are teachers. We take you to places like the Holy Land and Church History sites because we have spent our lives immersed in the ancient world and in church history research and we want to share insights with you to make your lives richer. Come back to this page often. We’ve made it easy, just remember: latterdaysaintmag.com/travel That’s it! So, anytime you are at Meridian’s home page you can just do a forward slash travel and you’ll go to the travel page. Right now we will present you with six travel opportunities–including to one place with an event that only happens every ten years. We will add a few more in the very near future, some of which are dreams of a lifetime–so stay tuned! Here were the women in our group from 2016 near the Temple Mount in Jerusalem. Here’s our travel approach: We go to the Holy Land every year (this year’s trip sold out in less than 48 hours). We go a few days after April General Conference. We have been going there for many years. We love this part of the world. We love the people. We love the places. We love the Lord and therefore we want to take you there and let you experience the best things we have come to know. We lead a Church History Tour every fall. We leave the Monday after October General Conference. We love the Prophet Joseph. We love to take you to the sacred sites of the Restoration and to lay the foundation of this great work by doing two days of intensive American Revolution history. You’ll love every minute of this tour. Everything else in our travels is different and a variety of wonderful experiences. Sometimes we do the British Isles Church History and Literary History tour. Sometimes we will choose a cruise we want to do. Sometimes we do Central America. Sometimes we do various places in Europe. This summer we will be doing the Norwegian Fjords and thereafter China–including the Yellow Mountains, one of the most unique and beautiful places on planet earth. Next year we’re planning on some rather amazing tours, including a very unique Amazon River Cruise and then a unforgettable journey to Machu Picchu. We are planning to do the Mekong Delta in Vietnam including a journey into Cambodia to Angkor Wat–the largest ancient temple complex in the world–more than 400 acres! These are some samples. Who knows, we may offer New Zealand in the future (we love those islands), and a rare journey to some of the nations of Africa. We will be planning a wonderful journey to Turkey–the land where Scot spent significant growing up years. The list goes on and on. We will never forget the thrill of this moment when that water came shooting out of the bore hole in Kenya. We have to do humanitarian work. It’s in our blood. We have done projects in Egypt, India, Kenya and Nepal. We will make some of these expeditions available to you, our readers. These are life-changing experiences. You can bring your children or grandchildren. They will never be the same. Those of you who are regulars at Meridian know of our work in Kenya and bringing water to an entire region. That’s why we put in that picture of Maurine when that water first started shooting out of the earth. That was one of the highlights of our life. We may even offer an occasional journey to Lehi’s Arabia. We have an ongoing project there in Oman on the shores of the Arabian Sea. Many of you are aware of this work. You can click here to be debriefed on our archaeological digs there where Nephi built the ship. Would you like to go there? We need workers. We need scuba divers. We need photographers. We need flora and fauna lovers. We need herbalogists. We need geologists. We need people who know maps. We need people who can do GPR (ground penetrating radar). We need normal people–just willing worker bees. Even though we don’t have a layman’s trip planned there now, CLICK HERE to email us if you have interest and we will keep you on the list. We will also be designing some special trips for singles. There’s nothing more fun that traveling with a bunch of people who really understand your life and who are full of energy and want to make new friends. Stay tuned. In all of these trips you are surrounded by fellow Latter-day Saints or like-minded people and we try to facilitate our groups becoming like a family. Some of our best friends in the world have come from our travels. Okay, so this page will be “Travel Central” for Meridian Magazine. You can read a little about each trip then just jump in and read all about it. Many of the tours fill up VERY quickly. When we post a Holy Land tour it usually is sold out within two days. In 2019 we will do at least two Holy Land (Jordan and Israel) tours and one amazing trip to Egypt. Here are the tours in chronological order. Come travel with us. Our camel safari is a signature part of our Egyptian experience. There we are on the far right–Egypt is unlike any place on earth. Travel with the Proctors to the Beginning of Time: Egypt! We still have places for a few couples (or singles) to join us. We know this has always been on your bucket list. Can you imagine the incredible history of this mysterious and wondrous land? Here is a civilization that seemed to spring into existence out of nowhere and was a key player in world history for thousands of years. Now is the perfect time to explore this ancient land and see its most important sites on a 7-day-in-country tour of one of the most sought out locations in the world. And our dear friend, Hany Tawfeek, will be our Egyptian guide and host–he is the number one tour guide in Egypt and has been the guide for heads of state, including President Obama. Book this one very soon. CLICK HERE for a details itinerary. Join us April 6-14, 2018 for this never-to-be-forgotten tour! Want to book this tour online? CLICK HERE then scroll down to where it says BOOK NOW. You then set up a simple account and you book your tour. Questions: Call our agent Sarah at 801-483-6473. Can you imagine a more beautiful coastline than here in Norway? Make Your Dreams Come True with a Magnificent Norwegian Fjords Cruise! Let’s face it, Norway is blessed to be one of the most beautiful countries (if not the most beautiful) on this amazing planet. Did you know that Norway, which is a relatively small country, has more coastline than the United States?! It’s just a unique and stunning country. This is it. 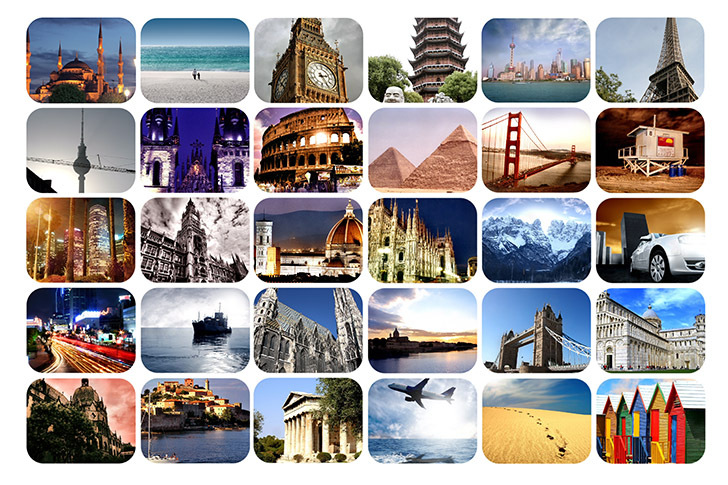 Let yourself relax as you read over the detailed itinerary of our amazing journey together. Feel the peace as you look at the photographs. Imagine yourself in these intensely picturesque places. We think it’s on your bucket list. It’s certainly on ours. This may be the only time we do this. CLICK HERE for a detailed itinerary. Come on this unbelievable cruise August 25 – September 3, 2018. Add the amazing pre- and post-tours and it’s August 21 – September 5, 2018. Come on–let’s do this! Would you like to just go ahead and book this online? You can CLICK HERE then scroll down and hit the BOOK NOW button. You set up your account (takes less than one minute) and then reserve your spot. Questions? Call our agent Sarah at 801-483-6473. Summer Imperial Palace is the summer residence of the emperors on Beijing’s outskirts. China is the most populous nation on earth and it has a fascinating and mysterious history. Join us in 2018 for a never-to-be-forgotten tour of this beautiful country. And with our partners in China we have designed an out-of-the-ordinary experience, including the opportunity to trek off the beaten path to a remote section of the Great Wall of China and help restore the Wall by adding your own brick. We have also designed an amazing add-on tour at the end (your option) to go the Yellow Mountains, one of the most stunning and breathtaking landscapes on planet earth. Read the itinerary then come and join us for the adventure of a lifetime in China. Join us on this amazing journey, September 6 – 18, 2018 with an optional add-on of a magnificent journey into the Yellow Mountains, September 18 – 22, 2018. China awaits. Questions? Talk directly to our agent, Sarah at 801-483-6473. Would you like to book this tour directly online? It’s fast. It’s simple. Just CLICK HERE then scroll down to where it says BOOK NOW. Set up your account (it’s simple) and then reserve your spot. Sometimes when we come to the Sacred Grove it looks like this. Come Join the Proctors for the Ultimate Church History Tour Fall 2018! UPDATE January 30, 2018: THIS TOUR IS SOLD OUT! We know you have always wanted to see ALL the significant early Church History sites and now is the time! Many of you have been to Nauvoo or just to Palmyra, or perhaps to Kirtland—but now you will have the opportunity to see all these sacred sites in one sweeping, panoramic view. We have been leading this ultimate Church History tour for the past twenty-seven years. We know these places and the stories that bring them alive and we love to teach and share this amazing part of our sacred heritage. If you have ever thought about going on a Church History tour, this may very well be your year and we would love to take you with us! We know that you will love this journey. Have any questions? Please feel free to talk directly with our Church History agent at Morris Murdock: Dani Edmunds. You can reach her at 801-483-6114. Would you like to go ahead and book this tour yourself online? Spaces are selling out fast. CLICK HERE then scroll down to where it says BOOK NOW. Take a minute to set up your account (it’s very simple) then reserve your spot. You’ll be glad you did! At this point in the Passion Play Jesus stands before Pilate. There is nothing like this production in all the world. Have you not heard of the Passion Play in Oberammergau? It’s time you did. When the plague was raging through Europe in 1632 and 1633, this little village in Germany, called Oberammergau, got together and made a covenant with God that if there would be no more deaths in their community, they would perform a play celebrating and depicting the last week of the Savior’s life every ten years. The deaths ceased and they have never broken their covenant. The first performance was in 1634–384 years ago! And it only happens now on the tens (2010, 2020, 2030 etc). More than 2,000 villagers participate in the play! 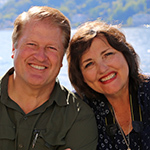 We’ve teamed up with our dear friends, Brad Wilcox and his precious wife Debi, and with our partners at Morris Murdock Travel and we’ve chartered an entire river boat with AMA Waterways to provide you with this AMAZING trip. We will be starting in the beautiful city of Budapest, Hungary then visiting Melk, Austria; Salzburg, Austria; Passau, Germany; Munich, Germany then Oberammergau. Even though the trip is nearly 2 1/2 years away, you have to decide now (like a forced savings plan) and commit. The ship holds a little more than 150 passengers and more than 1/3 of the cabins are already sold! We are doing two trips to the Passion Play–this one, which is based from the charter ship on the Danube from Budapest to Oberammergau AND the second one follows below, which is a Discovering Bavaria Tour where we base in a small alpine village and then go out each day exploring this stunning region and then end in Oberammergau. Decide today. CLICK HERE for a detailed itinerary (just scroll down a little and click the ITINERARIES button). Have some questions? Please feel free to call our agent Sarah at Morris Murdock at 8o1-483-6473. Would you like to book this trip online right now (places are selling fast)? CLICK HERE then scroll down to where it says BOOK NOW. Take the few seconds to set up your account then voila! You can book it yourself! Does this Bavarian scene look as peaceful and beautiful as you can imagine? If you don’t know all about the Passion Play in Oberammergau, see the description in the cruise right before this one. This is something you want to see once in your life. You truly become a part of history by attending. This tour, hosted by Scot and Maurine Proctor, is designed for the traveler who doesn’t have a great deal of time and for those who don’t want to pack and unpack, moving from one hotel to another. Enjoy a relaxing alpine retreat where you’ll spend five nights in the same beautiful, quaint hotel, nestled in the mountains, and be able to make several day trips to the see the sites, concluding with 1 night at the magnificent Passion Play in Oberammergau, Bavaria, Germany. We will visit Munich, Germany; Garmisch Partenkirchen, Germany,; Salzburg and Innsbruck, Austria; and finally Oberammergau, Germany. This tour will leave you both inspired and rejuvenated. Although this trip is still 30 months out, our agents at Morris Murdock Travel had to purchase boatloads of tickets for the Passion Play to be able to make this possible. More than 750,000 will attend the Passion Play in 2020! Come and celebrate the last week of the Savior’s life with us. CLICK HERE for a detailed itinerary of this trip (scroll down a little and you’ll see the ITINERARIES button). Have any questions? You are welcome to call our agent, Sarah, at Morris Murdock at this number: 801-483-6473. If you would like to just move ahead and book the tour online right now just CLICK HERE then scroll down to where it says BOOK NOW. It takes less than a minute to set up a simple account and then you’re off and running. You can book this yourself and we would LOVE to have you join us.